Have you noticed how many home renovation shows are on television these days? Unfortunately, they offer a pretty distorted view about what real-world home renovation is like, especially the cost and the time it takes to get things done. It may appear that a presenter manages to complete a fairly complex job in 20 minutes, but there might be 20 people working behind the scenes performing assorted preparatory jobs to speed up the process. And they never show people wandering aimlessly around hardware stores for an hour trying to find the stuff they need, do they? If you really like your house and your neighbourhood, renovating can save you the hassle of selling up and moving elsewhere. The problem is that a lot of us don’t fully understand what we’re getting into with major renovations. It’s rarely a completely stress-free experience, and if you don’t plan ahead, aren’t realistic with your budget and fail to do things properly, the headaches can multiply. Before you make changes to your home, check with your local council to see if approval is necessary first. Depending on the nature and extent of the work, you may be required to lodge a Development Application (DA). If you neglect to file the essential paperwork, you could be in breach of various laws. Even renovations that you might consider minor could in some instances require local council approval, so always seek their advice first. If your plans contravene Building Code of Australia (BCA) guidelines, your DA will likely be unsuccessful. Remember that you may also have to consider factors relating to heritage regulations (if applicable), body corporate requirements, estate covenants, water-saving or energy-saving regulations, etc. Aside from BCA regulations, there may be additional legal requirements to meet within your own state or territory. If you’re using outside tradespeople and the work they’re doing exceeds a monetary amount specified by your state, you may be required by law to have a contract drawn up. Even in circumstances where a contract isn’t legally necessary, you might want to have one anyway for peace of mind. Before undertaking any home renovation work, always contact your home and contents insurer to let them know about the planned work (this is a stipulation with most insurers). There is no ‘blanket policy’ with home insurers in Australia regarding what they do or don’t cover during renovations. Each insurer is different, so it’s your responsibility to inform them of your plans and ask the necessary questions. Never assume your current home and contents policy covers you during renovation periods – quite often you’ll find it may not. It all depends on your individual insurer, your individual policy and the type and extent of work being carried out as part of the renovation. Always review your home and contents insurance yearly to ensure it’s up to date in relation to the value of your house and household items. There are plenty of home and contents insurance calculators online that can give you a pretty accurate idea of the value of your home and contents. If you’re going to be away from your home for an extended period, this can also affect your cover. It can’t be stressed enough that you should ask your insurer if you’re covered for public liability and home and contents insurance while you’re renovating. Contact your insurer directly and ask the questions. Some insurers may provide partial cover during renovations, with specific limitations,for example, they might not cover water or storm damage if a portion of the house has been left exposed to the weather during renovation work. Other insurers may offer an additional separate cover applicable to renovation periods. Have a meaningful conversation with your insurer so there are no doubts in your mind about what you’re covered for (or not) while renovations are happening. Don’t be one of those Australian homeowners who are grossly underinsured – it can definitely come back to bite you. The other advantage of annually reviewing your cover is that is gives you an opportunity to check around and see if there’s a better deal elsewhere. Do everything you can to protect your home during renovations. Don’t leave the lawn unmown for weeks (an invitation for burglars) or have builders dump expensive items in plain sight where they can be stolen. Don’t slacken your home security procedures during renovations – even if you’ve moved most of your valuable items out beforehand. And keep in mind it’s not only your insurance you need to worry about. Make sure any builders you’re using are licensed and insured as well. Stay safe when you’re renovating. If you have small children, keep them well away from work areas, cords they might trip over, electric tools and any other dangers brought about by the work. Be careful about breathing in dust or chemical vapours while renovations are going on. Homes built before 1990 may contain asbestos in areas like roofing, wall lining or eaves, so have a specialist asbestos removal contractor deal with these situations. If you haven’t had your house checked for asbestos, get this done before starting renovations. Asbestos can be found in some unlikely places around the home: inside fibre cement sheeting (fibro), as a component of pipe insulation or even as a backing in vinyl floors. Normally, renovations needing Development Application approval will have a hazardous material survey carried out. Asbestos is an extremely dangerous material; inhalation of its microscopic fibres can cause asbestosis, lung cancer and mesothelioma. Leave it to licensed experts to remove and dispose of it according to local regulations. Before 1965, domestic paints contained as much as 50% lead (these days it’s 0.1% or less), so if your home is of this vintage, it may require specialist treatment from experts when repainting or removing. The Australian Government has published a handy online guide: Lead Alert: A 6-step guide to painting your home that outlines the health dangers of lead paint and how to deal with them. There may be structural damage to your house that you’re not fully aware of from unseen water damage, termites, rising damp or other causes. Make sure anything you stand on can support your weight and watch where you place ladders when you’re working at a height. If you’re walking around on your roof, know which areas are weakest and avoid putting your full weight there. The same applies to the crawl space above your ceilings – go slow and distribute your weight carefully. Don’t dabble in DIY electrical work – always use a licensed electrician. Have an electrical safety check done on your home before commencing renovations and check safety switches regularly once work is underway. Follow all normal, common sense safety procedures while you’re working. Store tools away when not in use and don’t leave cords where you can trip over them. Wear whatever protective clothing or equipment is needed for the job: steel-toed boots, eye protection, dust masks, coveralls, etc. Should you hire builders or do it yourself? Whether you choose to renovate your home yourself or have licensed contractors do the job for you depends on many factors, not least of which is how much spare time you have in your life. If ‘saving a few bucks’ by doing it yourself means you’ll be spending the next 73 weekends buried in wood chips, power tools and dust, is it worth it? Because we live in the world of the Internet, it’s not too hard to find a YouTube video or blog post that can guide you in undertaking basic renovation tasks. However, the tougher jobs should normally be left to professionals who have years of experience and can get the job done faster and more efficiently. If you do hire contractors to carry out renovation work, make sure you understand the full implications of the contract, especially with regard to what happens if unforeseen circumstances necessitate a work stoppage or other unexpected events occur. If you do your own renovations or manage sub-contractors who are under your control, you are what’s called an owner builder. Owner builders are subject to specific legal obligations and rights (check with your state or territory) and need to be familiar with relevant legislation. The advantage of being an owner builder is that you may save costs and have more flexibility as to scheduling of work to be done and completion dates. However, as an owner builder you’re basically taking on many of the responsibilities of a registered builder and are also accepting any financial risks. You’re responsible for insurance requirements, the health and safety of workers (and making sure they’re licensed), organising for a professional building consultant to check work quality as well as any necessary inspections and permits1. Even as an owner builder, you’re legally required to hire licensed tradespeople to perform certain jobs (like plumbing and electrical). Wherever you live in Australia, you’ll find government websites outlining your responsibilities as an owner builder, so check these out before making renovation decisions. Underestimating how much it will all cost: When it comes to renovation costs, don’t ever guess. Carefully define the exact parameters of what you want to achieve and then get at least 3 quotes from different contractors. Make sure you add in any associated costs including extra insurance, permits, inspection fees, levies or council application fees. If you’re going to have to live somewhere else while your home is being worked on, how much will that cost? Not recognising how it will affect your lifestyle: Major house renovations are a big deal. They often cost more than you think, take longer than you think and involve more problems, setbacks and interruptions than you could ever imagine. They also cause a lot of disruption to your normal lifestyle. There are important decisions to make, new situations to adjust to and the increased stress levels that come hand in hand with changes to your normal routine. 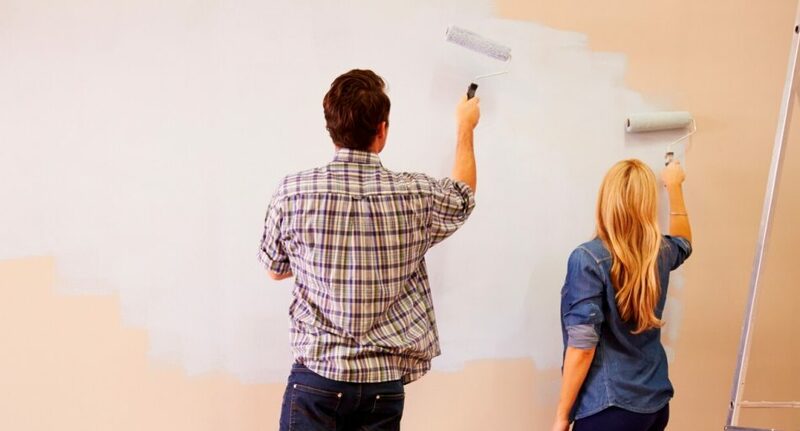 Changing the paint scheme in your lounge room is a far cry from having your roof replaced, adding a room extension or completely redesigning your kitchen and bathrooms, so don’t underestimate the inconvenience that big, long-winded jobs can cause. Inadequate planning and preparation: Careful planning is essential. Know your costs, get your quotes, understand timings, familiarise yourself with all necessary regulations and ensure you’ve got solid contracts drawn up with the builders and tradespeople you’re using. Work agreements should always be in writing, checked over by your solicitor and signed by both parties. Don’t start spending money on materials, supply and labour until you’re totally happy with the plans you have in place. Once building is fully underway, it can be extremely expensive to change your mind. Letting creativity override common sense: Renovations should fit within your budget, suit your lifestyle and increase the value of your home. It’s easy to be persuaded by the pretty pictures in home and lifestyle magazines that you ‘absolutely must have’ some intricate feature in your kitchen or opt for a sunken living room (even though your house is in a flood-prone area). And those magnificent but rather fragile clay tiles may look great on your back patio, but will they withstand boisterous children, large clumsy dogs or beer-soaked pool parties? Renovations can be beautiful, but make sure they’re practical as well. Renovating a structurally unsound house: Before you begin renovations, have professional building and pest inspections conducted. If your house has existing structural issues, any renovations you make may cause even more damage and ultimately reduce your home’s value. A few ‘minor’ renovations might be all it takes for cracks to form in walls or other serious problems to develop, leading you down a slippery slope of never-ending repair costs. Being a cheapskate: If you get quotes from 3 different builders for the same job and one of them is much cheaper than the other two, don’t just jump in the air and say “Yay!” Instead, ask yourself why. Are they using cheaper materials, dodgy tools or corner-cutting processes? Are they fully licensed and accredited? Are they insured and members of an industry association? Don’t be afraid to thoroughly research potential contractors and check experience levels, testimonials, industry awards, warranties and anything else that might give you a better idea of the quality of their work. Because if you cut corners on labour or materials now, there’s a good chance you’ll be paying for it in the form of extra maintenance and repairs in the future. Renovation isn’t just about how your place looks – it’s about how well it works, too. Making your home more energy-efficient can also make it more comfortable to live in and save you money in the long-term. The amount and quality of the insulation in your home makes a big difference to energy bills, and changing your insulation, adding solar panels or even buying energy-saving appliances all helps. If you’re not sure where to begin in making your house more eco-friendly, have a look at the government website Your Energy Savings, which has some great tips and advice on the subject. The changes you’ll be able to make will depend on the type and location of your house and your budget, but many ‘greener’ alternatives may be cheaper than you think. It’s certainly worth looking into possibilities like more energy-efficient lighting, solar hot water systems, more efficient appliances and building materials, and more cost-effective ways to heat your home in winter. In certain cases you might even be eligible for some kind of government assistance or rebate. Clean your curtains – It sounds simple, but if you can’t even remember the last time you did this (if ever! ), it’s definitely time. Oprah once said “Curtains are ball gowns for your windows”, which is one way of looking at it! Depending on the fabric, you can clean them yourself (a water and Napisan solution works for many types), or if you’re not sure, take your curtains to a professional dry cleaner and let the experts do it for you. You may get a better deal if you drop off all your curtains at once. And if your curtains are so hideous that even a cleaning won’t make them attractive, lash out and buy some new ones – it can make a huge difference. Grab a paintbrush and roller – A fresh coat of paint, both inside and out, can add value to your home and make it look heaps better. Don’t forget doors, baseboards, ceilings and any other areas that could use livening up. Painting is one of the best ways for house sellers to make their home appear more valuable to buyers – at minimal cost. Go crazy with a pressure washer – Rent, borrow or buy one of those pressure sprayers that attach to your hose and give the outside areas around your house a good going over: driveway, patio tiles, stepping stones, mouldy garden ornaments, etc. Don’t be tempted to use a pressure wand to clean your roof – not only is it extremely dangerous to be standing on a wet roof, but many types of roof tiles will actually be damaged if the pressure is too high. If your roof’s dingy appearance is bringing down the overall look of your home, call in professional roof cleaners to get it cleaned properly. Replace your fans – Old, rickety fans don’t do your decor much good, so consider updating the worst of your fans (or all of them) with more modern alternatives. Fans are fairly inexpensive, but of course you’ll need to pay a licensed electrician to install them. Get a handle on your handles – Brand new stainless steel handles on doors, kitchen cabinets and bathroom fixtures can give your home a spiffy look, and they’re both inexpensive and easy to install (make sure you call a plumber to install any new tap or shower fixtures). How’s your stovetop holding up? – If your stovetop looks like it just came off the set of a 1960s TV show or it has imbedded crud on it that only a dynamite blast would remove, you can be forgiven for wanting to purchase a new one. The new induction cooktops are quicker and more power-efficient than traditional stovetops. Because they use an electromagnetic field to generate heat, they’re a bit safer as well. Heat is only generated when the pan makes contact with the stovetop, which does away with the age-old problem of burnt, baked-on food debris sticking to your stovetop like glue. Have a look at your stovetop and oven and decide if an upgrade might give your kitchen a much fresher appearance. Like just about everything these days, “there’s an app for that”. Home improvement and renovations are no exception. To help you decide on paint colours, try the Paint My Place app, which lets you virtually trial over 30,000 colours from leading brands. There’s also DIY Handyman Toolbox, which does some of those pesky calculations for you: working out an area in square or cubic meters, converting metric to imperial measurements, etc. If you’re desperately seeking decorating inspiration, Houzz Interior Design Ideas lets you choose from a million and a half design ideas that are saveable to a virtual scrapbook. Unfortunately, they haven’t produced an app that hammers nails into wood or swears for you when you hit your thumb. Maybe next year.